Your donation helps lower our energy usage by 12%. Our vision is to realize net zero carbon by 2020! Please take a few minutes to watch the video below. Any contributions beyond our goal will help us to prepare for Phase Two, the campus-wide conversion to solar energy, the heart of our Zero Carbon effort. 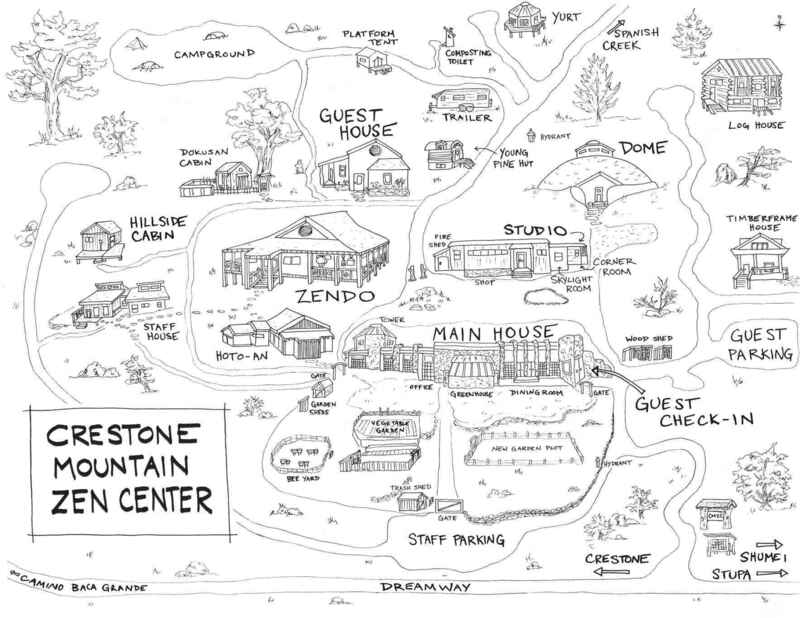 If you prefer to send a check, please make it payable to Crestone Mountain Zen Center and send it to P.O. Box 130, Crestone, CO 81131. Donations from Europe can be processed through our German Zen Center. Bank information: Buddhistisches Studienzentrum, IBAN: DE04684900000030214404, BIC: GENODE61BSK, Memo (Verwendungszweck): "Spende Umweltprojekt"
For questions, email us at cmzc@dharmasangha.org. More information and ongoing updates can be found on our Sangha News webpage. This contribution is in behalf of my uncle Reynold Bean. We wish you success in your on-going work. Petra and Daniela donated in support of this campaign. Beautifully inspiring movement! Thank you for acting and inspiring myself and others to act. Together we make a positive change! This initiative is of great value. Thank you for your vision and leadership. Christian: You and the residents have always been very kind when I have visited. Thank you. I hope you reach the goal. I believe in community. I believe in the need for creating and cultivating the space for zero carbon, harmony, peace and principled living.